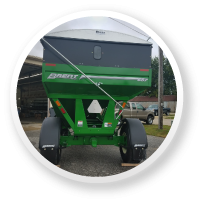 At Syntex Industries, we offer Ag Tarps that can be used on grain trailers, wagons, grain carts, seed wagons, fertilizer wagons, side dumps, belly dumps, and much more! 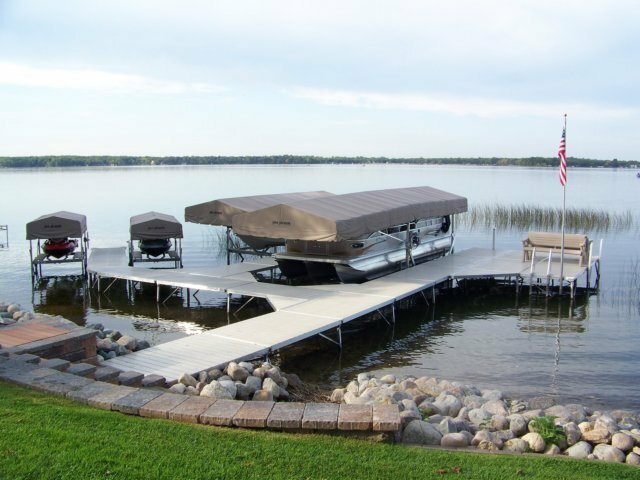 Our boat lift canopies have you covered with over 50 options to choose from. Need a custom-fitted boat cover? Call us today to get started! 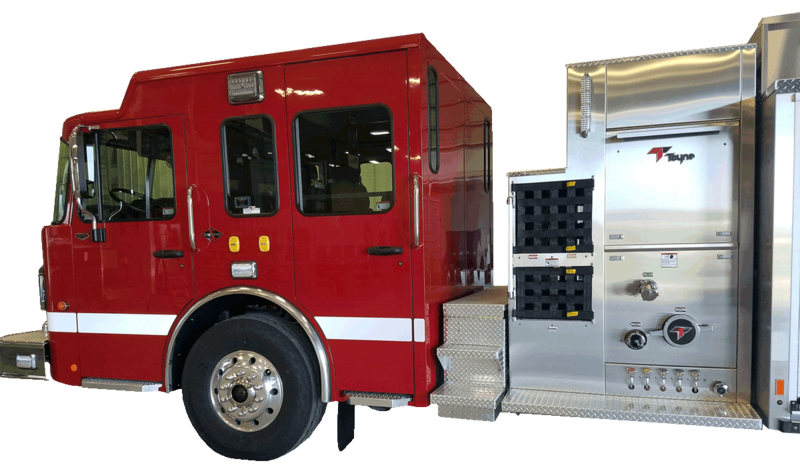 Some of our fire apparatus products include portable water tanks, hose bed covers, and crosslay covers. Syntex manufactures roll tarps and has been in business since 1978. The core industries we service include Ag, Fire, Marina, Construction, Home & Business. 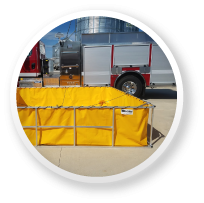 In the fire industry, our most popular items include hose bed covers, crosslay covers, and water tanks. 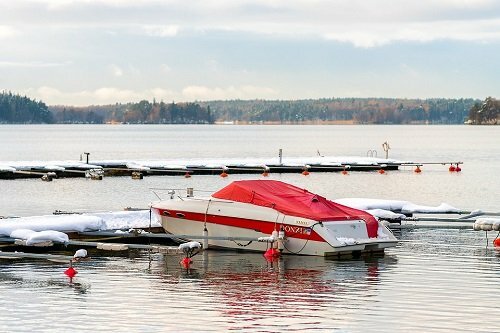 In the marina industry, we manufacture boat lift canopies, boat lift log covers, and custom fitted boat covers. 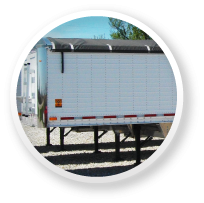 In the ag industry, we manufacture roll tarps for grain trailers, wagons, grain carts, side dumps, and dump trucks. We also do tarp installations.  Syntex Industries has been building quality products since 1978. We offer a 2-year warranty on all of our tarps. 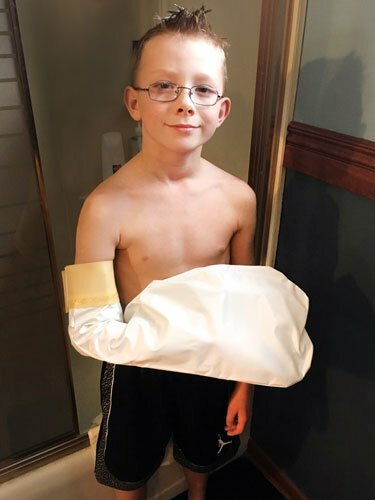 Need help installing a tarp. Not to worry, we have you covered. Check out our low prices on our tarps and other products. At Syntex Industries, we offer Ag Tarps that can be used on grain trailers, wagons, grain carts, seed wagons, fertilizer wagons, side dumps, belly dumps, and much more! Our company also carries a complete line of roll tarp hardware, and provides electric roll tarp kits. If you have a roll tarp that is in need of repair, let us be your number one contact. 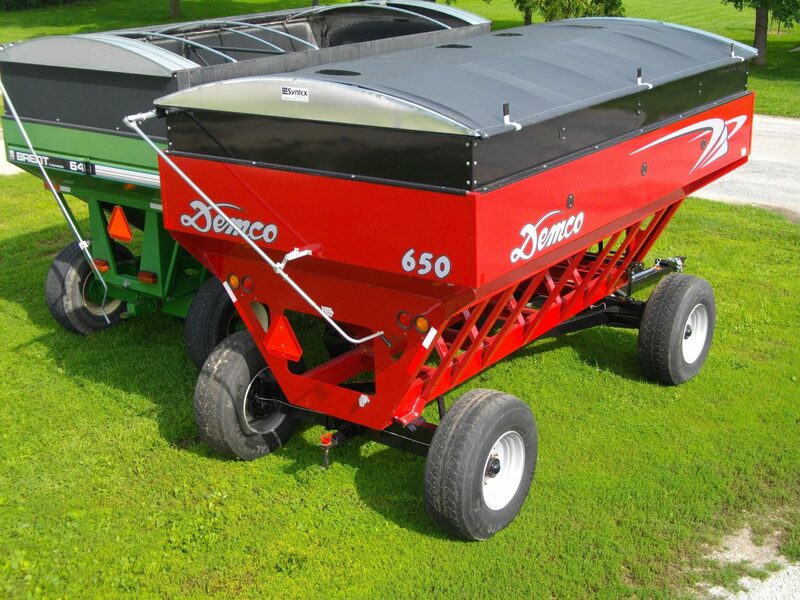 We are proud to be the leading provider of Ag Tarps and Agricultural Equipment Covers in the Midwest. Be sure to call Syntex Industries today if you have any questions about the products and services that we provide. 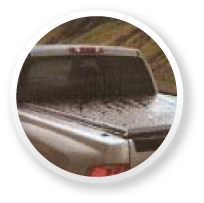 Available in various styles, our roll tarps are perfect for your Side Dump Truck or Belly Dump Truck. The 18oz. vinyl material that we use is treated against mildew and UV rays, and is able to withstand any type of weather all year round! Benefit from the quality of the highest end roll tarps on the market with Syntex Industries. Syntex Industries offers high end tarps and roll tarp kits for dump trucks and truck boxes. All of our tarps are made of heavy duty 18 oz. vinyl material that is treated against UV rays and mildew. 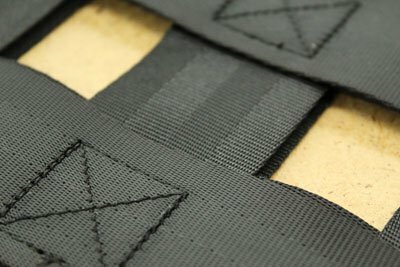 They are featured with welded seams for strength and waterproofing as well! Plus, all of our hardware is galvanized or aluminum, so it will not rust. We offer a two year warranty on all of our products. At Syntex Industries, we offer several fire apparatus tarps for firefighters all throughout the United States. Some of our products include portable water tanks, hose bed covers, and crosslay covers. All of our products are outstanding in quality and are made from heavy duty material. Check out the links below to learn more about each of our fire apparatus products individually. Syntex Industries is a proud manufacturer of floor runners and stage mats as well. Syntex Industries has replacement boat lift canopies for ShoreMaster, Porta-Dock, Hewitt, Lakeside Lift, Floe, Sunstream, Duralift, Blue Water, Pier Pleasure, Newmans, RHC, Lakeshore, Warren Lifts and many other popular brands. 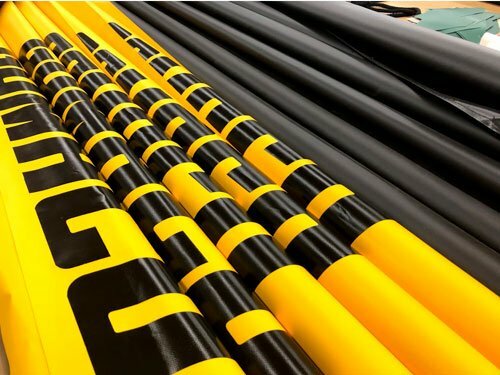 If we don’t have a pattern for your brand, we may still be able to make a replacement boat lift canopy for you. 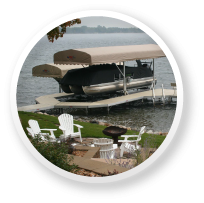 Call us for more information on custom boat covers and custom boat lift canopies! Available in Vinyl, Harbor Time, or Sunbrella, all treated against UV rays and mildew! Several colors to choose from! We specialize in boat lift canopies and custom fit boat covers of all kinds for your marine cover needs. Protect and beautify your home, office, or building. Protect your property form the elements and beautify it at the same time with a custom made awning form Syntex Industries. Many different fabrics, colors, shapes and styles to choose from. You decide what type of fabric ,color, scallops our words. We make aluminum frames all shapes and sizes. These covers come in a wide variety of colors. They come with D rings and grommets to secure while traveling down the road. Made with 18 oz vinyl coated materiel, which is extremely strong and durable. Has high tensile and tear strength, along with anti-mildew treatments and U.V. pigments for weather ability.